Our Courses are Practical, Challenging, Supportive and Fun. We teach you how to transform YOUR passion and skills into a life-changing tool. Watch the video below to see one of our events. HPCSA ( Health Professionals Council of South Africa ) registered? Earn 39 CPD points on our accredited courses. Enquire for the details and dates. Don’t be a normal coach… Be fantastic! “Life as a Life Coach is one of the most addictive and passionate experiences I have had the privilege to be part of and teach for over 10 years. Action Factory courses are for real people in a real world. Some coaches only help “happy people”; people who don’t have issues or problems in their life. With the unique combination of neuro linguistic programming (NLP) and coaching, Action Factory certified trainers can coach people even if there is chaos in their life. You are the solution! Find out how to solve your own problems and become the life coach so many people desperately need. Action Factory offers you the life changing experience with premium NLP Practioner training and Life Coaching Certification. Human beings form patterns and behaviours. “Bad habits” are unwanted behaviours that served you well in your past but there comes a time when that habit is not applicably anymore. Deep-rooted behaviour patterns are sometimes challenging to adjust and change. Action Factory’s neuro linguistic programming Training Institute teaches you the necessary skills and techniques to experience the behavioural and emotional pattern shifts in all areas of your life. Deon’s business experience and senior management roles in organizations combined with his life experience and training skills bring a unique perspective to the Corporate Training Centre at Action Factory. His track record speaks for itself. When training sales teams and they apply these expert techniques, sales in the company increases. Deon’s training journey began in 2008. As a certified NLP master practitioner by INLPTA (International NLP Trainers Association), Deon upholds the high standards and code of ethics in Action Factory. 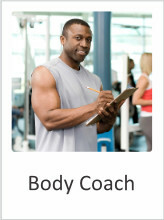 In South Africa, he is the only full time trainer certified by INLPTA. Action Factory is the leader in Coaching and NLP courses in South Africa. Based in Johannesburg, Action Factory provides training nationally. This conveniently allows you to enrol in Life Coaching and NLP Certification training in a city near you: Johannesburg, Cape Town, Centurion, Pretoria, Bloemfontein, Durban, or Port Elizabeth. Internationally accredited Action Factory life coach academy and NLP training are priced for the South African market. International standards held high, yet all NLP courses and coaching programs are affordable to South Africans. Deon and his team are highly skilled. Deon has paved the way with honesty and integrity. He believes in excellence and only the best is good enough. ANLP Internationally CIC for neuro linguistic programming professionals who want to make a difference ethically. Deon and his team uphold the ANLP Code of Ethics and Trainers Code of Ethics. Deon Groenewald is certified by INLPTA (International NLP Trainers Association) as a NLP master practitioner. Their NLP accreditation process ensures international professional and ethical alignment and standardization. ANLP (The Association for NLP) is globally one of the most professional and trusted independent NLP organisations. COMENSA (Coaches and Mentors of South Africa) supports professional coaches and mentors to empower South Africans. Deon Groenewald is an accredited trainer at IACTM (The International Association of Coaches, Therapists & Mentors). 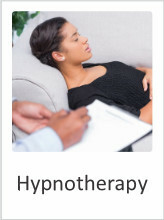 They endorse authentic and ethical professional trainers, coaches, therapists, and mentors. Experience what your client will experience. Action Factory trainers teach you the theory as well the practical application. In a safe training environment, the trainer demonstrates the technique on a willing volunteer. Then students participate fully and apply techniques on each other. It is a unique experience to see the change occur in real time. This gives you the understanding of how your client will experience the technique and how it changes your client’s life as well as the people he or she encounters. Thousands of people are looking for the life-changing solution. Action Factory provides a variety of NLP courses to choose from. Want to start your journey now? Action Factory trains trainers to become true masters in their expertise. At completion of the course all students go through an accreditation process. This powerful 1- day workshop is more than an overview to neurological programming and life coaching in South Africa. It is a “hands-on” self-discovery journey revealing and uncovering your mind’s potential. An in-depth introduction to the benefits of neuro linguistic programming and coaching explains why these techniques are so effective in your personal and business life. Rarely do students walk away after this 1-day Fundamentals Workshop without a desire to become an NLP practitioner or to join the NLP coaching academy. This empowering course prepares you for your coaching career. You will effectively coach people through life transitions and life-changing experiences. Help your clients grow, change and progress in all areas of life, health, careers, finances, and relationships. Classes are small to maximize the personal training impact. The comprehensive course material and ongoing support differentiates this course from other similar training. On completion, successful students become internationally accredited Life Coaches. The corporate world requires coaching too. 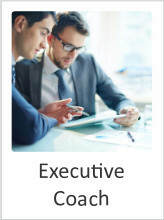 This 6-day course will prepare you to become an executive coach for small to medium business. Focus on the solution is essential when coaching businesses. After completion and accreditation, you will be able to offer solutions in simple steps that will increase sales and profits. Life coaches assist people to experience lasting changes through action and motion. They guide people to achieve their dreams by living a balanced goal orientated life. NLP practitioners help people replace certain habits, limited beliefs, phobias and fears with empowering beliefs and thought patterns. The combination of courses integrates these 2 powerful, complementary disciplines. After completion and accreditation, you will be certified as a life coach and a NLP practitioner. For a comprehensive guide to all the coaching courses and NLP training available to you, visit the Course Page. NLP is one of the most powerful Life and management tools and is the secret cornerstone of all highly successful people both in life and in business. The only way to truly understand the power of NLP is to experience it for yourself. We want everyone to experience the results of Coaching and NLP. For individuals we offer 1 day workshops as a show and tell experience. An introduction to the world of Coaching and NLP that will convince you to make the right decision. For Corporates we offer a free 1-hour workshop / training session to assist you I making a well-informed decision. We are members, accredit and partnered with National and International Associations to ensure ethics, credibility and value. Feeling stuck in life? You know something must change. Action Factory recently received the prestigious award as South Africa’s best NLP Life Coach Academy in the International Acclaimed Corporate Vision Excellence Awards. Our standards and certification is International while we keep our approach and pricing proudly South African. For your convenience, we train in most large cities in South Africa. Our NLP, Life Coach and Corporate training courses are practical, challenging, supportive and fun. We teach skills and techniques that work. Our training is for real people that want to produce real results in a real world for real people. We live what we teach and we teach what we live. Our courses contain a mixture of 64 concepts, techniques and skills. We believe in experiential training. Techniques and skills are explained then applied on you the student, after which students will practice the learnings on each other. On completion of your training you now know the theory, you observed the techniques, you experienced the effects and you practised on someone. This is true learning that creates confidence and capability for our coaches. 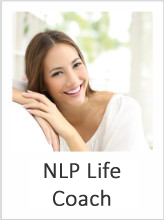 We combine a full Life Coach Certification with an NLP Certification course. Life Coaching is all about balance and getting that life plan that takes us from point A to point B. The truth is that with the best plan we don’t always have action. NLP allows you to install a mindset of positive beliefs that creates the knowing that I can. With a good plan and a strong determined mindset, we are ready to achieve. We train you to become an Internationally Certified Life Coach and / or NLP Practitioner. We create real NLP Coaches for today’s society. After completion of the training you become a free member of our Coach Community, allowing attendance to our 6 weekly meetings for networking, discussions and updates. We believe in support and networking. Action factory is a community of trainers and coaches that want to bring positive change to this world.